Nothing But Creative: Is the ZEN Mozaic worth your money? Is the ZEN Mozaic worth your money? The ZEN Mozaic is Creative latest portable media player. Due to its similar specs, it is said to be developed to replace the aging ZEN V series. It's marketing proposition is, however, identical to the now discontinued ZEN Neeon - where its Stik-On allows you to customise the player look to suit your personal style. "Don't Blend In, Trust Your Style." Creative certainly hope that its new baby would stand out from the crowd and create a style of its own. When it comes to design, you either love it or you hate it. And that can't be more true when it comes to the ZEN Mozaic. People who disliked it have called it "incredibly ugly", "yucky" and "a Sony rip off" while others have liken it for its unique and quirky design. Vallywag - Silicon Valley's top gossip rag - described it as "the first non-iPhone I've seen with real head-turning potential." and call it the "new iPod competitor so crazy it just might work". Personally I really like the design and the feel of the player. 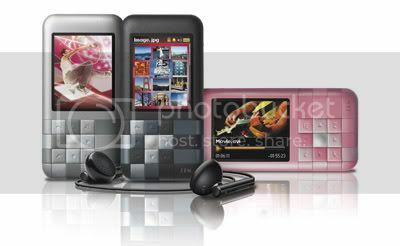 It is also Creative's first media player that has a truly creative design and credit should be given for that. Bold and unique, the ZEN Mozaic screams individuality and if being different is your cup of tea, the ZEN Mozaic is the player for you. The ZEN Mozaic should never have been part of the ZEN family, rather it should have been branded as a MuVo. In many ways, Creative have taken a few steps back with the ZEN Mozaic. It does not have dedicated volume control, one-button recording function, line-in recording nor does it support subscription music. Its format support for audio, video and photo is also unimpressive. For audio, it only supports MP3, WMA & Audible 4 (ZEN V supports MP3, WMA, IMA ADPCM & WMA DRM). All videos have to be transcoded with the Creative Centrale to its proprietary video format while for photo, only JPEG (other formats will be converted with software) is supported. Video playback on the player is also mediocre. With its small 1.8", 64K color screen and 128x160 pixel resolution, you can hardly see any details of your video clearly. Video viewing on the Mozaic is therefore restricted to music videos or short clips as anything longer will result in you seeing patterns (alas a mosaic, geddit?). Battery life is pretty good at 32 hours (stated) and the built-in speaker is very loud and clear although it lack a good bass. It also comes with an FM Radio that allows you to store up to 32 presets, EQ settings, voice recorder, calendar, contact and task list (sync with your computer) and album art support. The more visual ZEN patent UI that is featured in most ZEN will also allow you to easily find your way around. As said previously, the 9 tactile buttons are responsive and have a good feel to it. The ZEN Mozaic is avavilable in Black (2GB/4GB/8GB), Silver (4GB) and Pink (2Gb/4GB) with plans of a 16GB in the pipeline. There's a 3-IN-1 skin pack, Carabiner case and armband for you to dress up your player and a Travelsound ZEN Mozaic, in case the built-in speaker isn't loud enough. In terms of accessories, you will be pretty much spoilt for choice. The Creative ZEN Mozaic is great looking, light weight and highly affordable. 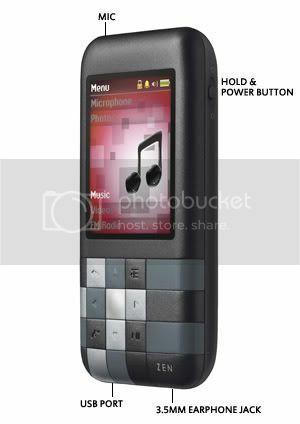 If all you need is a media player with a good built-in speaker for your music, the ZEN Mozaic should do the job. However, if video viewing and photo sharing is your thing, then I suggest you look at other alternative like the ZEN X-Fi or ZEN. Its such a brillant review! With the really nice diagrams you made to help us understand what to press and stuff. Great job Kingone! =Does not support subscription music. I think this portable media player has some bugs, because often when you keep on pressing keys it stops and you have to wait for the battery runs out and then recharge. It happened to me a lot of times and I can't stand this situation.